What is the best tyre make to use on this car for quarter miles? Michellin? Pirelli? best grip? It could but it would be no way near as cool as it is with 5.4 V8. And the big V8 is not just impressive on spec sheet. It has way more grunt than 3.2 V6 and the sound is almost priceless. And V8 better suits the AMG hot-rod-ish character. this car doesn't need a 5.4l v8, it could give this power from a 3.2l or 3.5l turbo v6. WET HANDLING... high power cars with ultra wide tires and RWD are extrem difficult to drive fast in the wet... go to sportauto homepage they have all their latest supertest laps as video online (Northloop, Hockenheim and wet handling test) there you can see the different..
dude what is up with those SportAuto wet handling test?? i mean a Porsche Cayman S and a Maserati Gransport BOTH beat a Zonda F by 4 seconds?? and beat others like the GT2 ,Scuderia, GT,Superleggera.doesnt that sound a bit weird?? 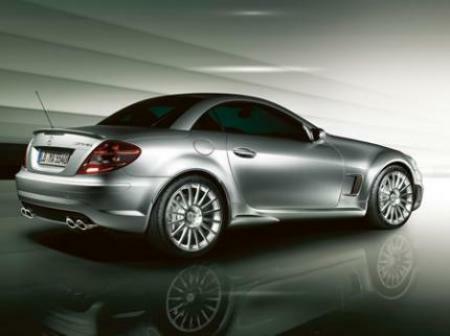 WHY dont they make an SLK65 AMG?? 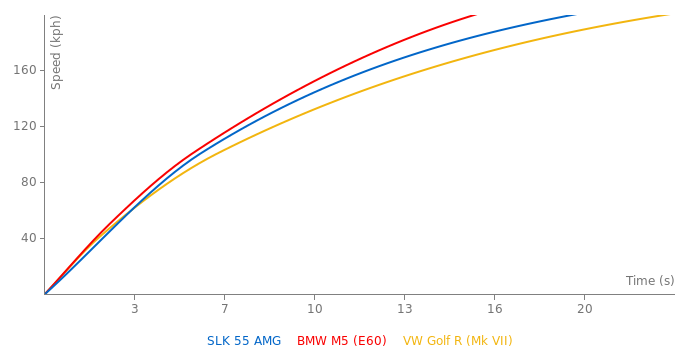 all the do is give ther higher up models to the CL and CLK class IE, GTR AMG, SS, BS, 65, and so on i mean they do have th BS,65,SLR of the S class but why dont they do it with a SLK class?? hell if i had the money id buy a SLK GTR, forget the minamal SLK BS theres not too much difference from a norm. could yall imagine a SLKR?? Wrong HP rating, should be 360hp and 510nm.